All of our biological procedures are performed on the same day with minimal manipulation of blood, bone marrow, or adipose tissue and are therefore compliant with FDA CFR 21 Part 1271, falling under the same surgery exemption in FDA rule in 1271.15 (b). Posted By: Fausto S. Ph.D.
Dr. Bennett repaired my miniscus, two Achilles tendons, and repaired a rotator cuff. My golf game is better then ever. Thanks so much Dr. Bennett for all your help. Posted By: A. Yolanda O.
I have 2 torn tendons in my right shoulder. Within 3 or 4 weeks after receiving the PRP injections I was 90% improved. No more waking up at night with shoulder pain. Posted By: Dolores T S.
Dr. Bennett did a great job with PRP to repair a tendon, cartilage and TFC injury in my left wrist. Took 2 treatments but is now 90% good and I can golf again. Great work. I had surgery 6 months ago and have great range of motion with no pain. Did therapy which helped and I am now doing bicycle therapy daily. 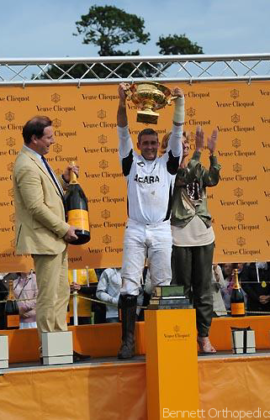 Fast recovery and excellent results. 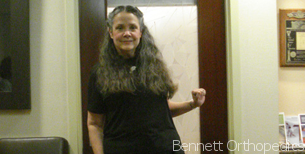 I am thrilled with the results of my treatment for hip replacement with stem cells and PRP by Dr. Bennett. My constant chronic pain has subsided. and adult stem cell therapy or treatment. competitive golf following a Platelet Rich Plasma Injection. rotator cuff repair, this avid golfer was able to return to near "scratch" performance. derived stem cell hip injection. PRP and one year following surgery won the AAA Siesta Key Championship. arthroscopic reconstruction of his shoulder for a shoulder separation. Bennett Orthopedics and Sports Medicine. Regenerating the Youth in You! Remains on the cutting edge of treatment both on the national and international scene. Often my patients are not quite sure how cartilage damage in their knee, hip or shoulder joint is related to their pain or to arthritis. We have several options to choose from when it comes to cartilage repair. Trained in the U.S. and in Switzerland, Dr. Bennett was one of the first surgeons to perform Arthroscopic Subscapularis Repair procedures. 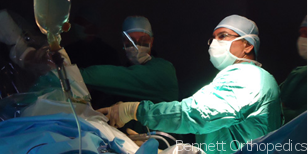 If you're considering rotator cuff repair, speak with Dr. Bennett first to discuss options. Bennett Orthopedics can perform a minimally invasive knee technique allowing you to walk without a cane in as little as 2 days post-opertaivley and usually all patients are off a cane in 2 weeks. Are you experiencing shoulder pain and need help? 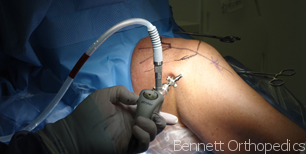 Dr. Bennett offers a wide range of shoulder pain treatments customized to your specific needs. From arthritis to tears and common injuries, we can help. Dr William Bennett has been practicing since 1995, and is widely regarded as one of the best knee surgeons in Sarasota and Venice, Florida. Minimal downtime, reduced pain and longer-lasting results. 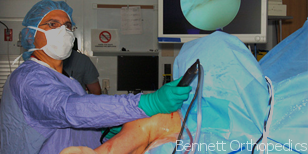 Hip arthroscopy is often preferable to open hip surgery, as it is far less invasive. The incisions made are very small, and in general, recovery times are much swifter. See what Dr. Bennett can do for you. Designated one of the Top Orthopedic Surgeons in Sarasota by U.S. News and World Reports, Dr. Bennett has been practicing since 1995. 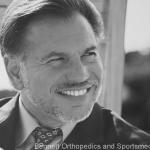 He has been ranked a Top Doctor for Orthopedic Surgery by Sarasota Magazine and Castle Connolly Medical.